Newspaper piece on the international photographers making family albums for survivors who lost theirs in the tsunami and meltdowns. 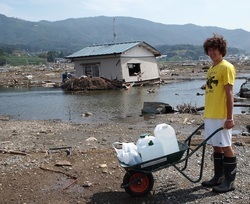 Feature article on the altruistic aftermath of the March 11th earthquake. 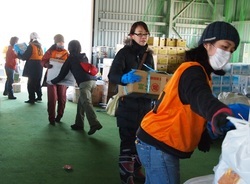 Japan Times article on American NPO winning hearts&minds through hard work in Iwate. 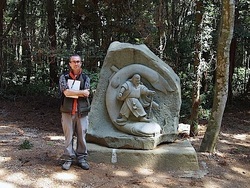 A pilgrimage to the home of the Shinto deity who stops Japan from sinking. Japan Times article on non-Japanese who buck the trend and head north into the worst hit areas. Peace Boat offers an alternative model to military relief operations. 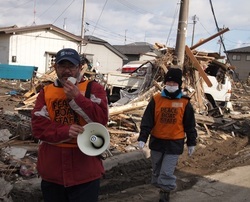 With the clamour over Fukushima, the voices of the survivors have been drowned out.